There are 45 states that impose statewide sales tax, and some of them are now making things complicated for online sellers and the marketplaces on which they sell, as Etsy and its sellers are discovering. At least two states have required Amazon to hand over seller information for online sales-tax collection purposes (Massachusetts and Rhode Island). And two states (Massachusetts and Vermont) are also looking to payment processors like PayPal for help in identifying possible income-tax evaders by requiring them to report in-state residents and businesses for which they’ve processed at least $600 in payments. States are getting creative (or are completely ignoring Quill) in crafting laws to try and get out-of-state sellers to collect tax on transactions to their residents. 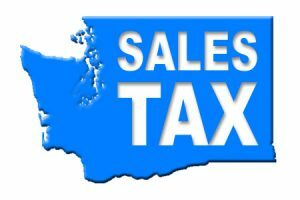 For example, Washington state is requiring “marketplace facilitators” to collect sales tax on all transactions between sellers and Washington-based buyers, regardless of whether the sellers have a physical presence in the state. It’s clearly costing Etsy resources to fix – on February 14, Etsy provided the following update to sellers in a discussion board thread: “I’m so sorry for the delay, I just checked on the status, our engineers still have some more work to do on this.” And in the meantime, sellers are unable to view accurate gross sales figures. Etsy sellers were also impacted by a glitch involving the new laws involving income-tax reporting. Etsy sent 1099K forms to Etsy sellers in Vermont and Massachusetts for payments processed through Etsy Payments – but in some cases, PayPal also sent 1099Ks in error for the same payments. It does seem odd, however, regardless of new tax laws and practices, that an employee tasked with communicating with sellers would have access to a document containing tax information for multiple sellers. It’s especially concerning since many small sellers use social security numbers as their tax ID numbers. If you run into tax problems, be sure to let us know by sending an email to the editor at ina@ecommercebytes.com. You are missing the point. I live in Florida and collect(and remit to Florida) sales tax from buyers who reside in Florida. Now other states want me to collect(and remit to those states) sales tax from buyers in their states as well. So you are one of those who says they can’t do it. Ebay does give a way to collect sales taxs from any state that you need. Hopefully the IRS catches you. You are a tax evader with your excuses. eBay may give you a way to collect those taxes, but they do not give you a way to remit taxes to thousands of tax jurisdictions. I would shut my business down before I would put up with that hardship.